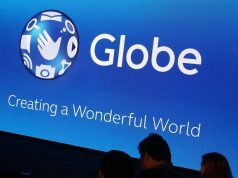 Globe Telecom first launched its Media Excellence Awards in Cebu and Davao in 2012 to promote freedom of the press and media excellence by recognizing media practitioners who demonstrate excellence in their field of work. Last year, GMEA expanded its coverage to Bacolod and Iloilo in Visayas, and General Santos, Cagayan de Oro, and Zamboanga in Mindanao. In its fifth milestone year in 2016, GMEA is expected to become bigger, better, and grander. This year’s GMEA is anchored on Globe Telecom’s commitment to the United Nations Sustainable Development Goals and support for the #WonderfulPH campaign.“The critical role of traditional media organizations and, of late, the social media in forming public opinion makes it imperative for an ICT enabler like Globe to encourage excellence in this field as we all aspire to effect societal change towards a more wonderful Philippines,” Globe Senior Vice President for Corporate Communications Yoly Crisanto said. Entries, therefore, must delve on the four Sustainability Focus Areas: care for the environment, innate care for our people, positive societal impact, and digital nation. For the Visayas, entries must be published between May 2015 and April 2016. Submission period for the Visayas opens on March 1 while deadline for the entries is on April 29, 2016. The entries for Mindanao, on the other hand, must be published between June 2015 and May 2016. Submission period begins on March 15 while the deadline for Mindanao entries is on May 31, 2016. GMEA 2016 will be covering Bacolod, Cebu, and Iloilo in Visayas and Cagayan de Oro, Davao, General Santos, and Zamboanga in Mindanao. There are award categories for print, broadcast, and digital media. For print media, recognition shall be conferred to the reporter of the year for print, explanatory/investigative story of the year for print, columnist of the year, and photojournalist of the year. For broadcast media, awards will be given to the reporter of the year for radio, public affairs story of the year for radio, reporter of the year for television, and explanatory/investigative story of the year for television. Finally for digital media, honours shall be granted to the blogger of the year, social media campaign of the year, social media advocate of the year, and the reporter of the year for online news portal. No separate categories or distinction for journalists writing in Bisaya, Hiligaynon, and Chavacano-language dailies shall be made in recognition of the importance of developing these local languages as a way of strengthening national identity. The same standards of excellence shall be applied for all contenders for an award whether their works are written in English, Bisaya, Hiligaynon or Chavacano. The Awards Night for the Visayas will be on September 22, 2016 while the Awards Night for Mindanao will fall on November 24.